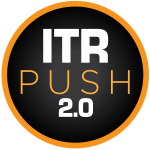 In The Community - ITR Concession Co. LLC. ITR Concession Company LLC (ITRCC) believes that environment, safety, customer service and community involvement are important aspects of a successful organization. 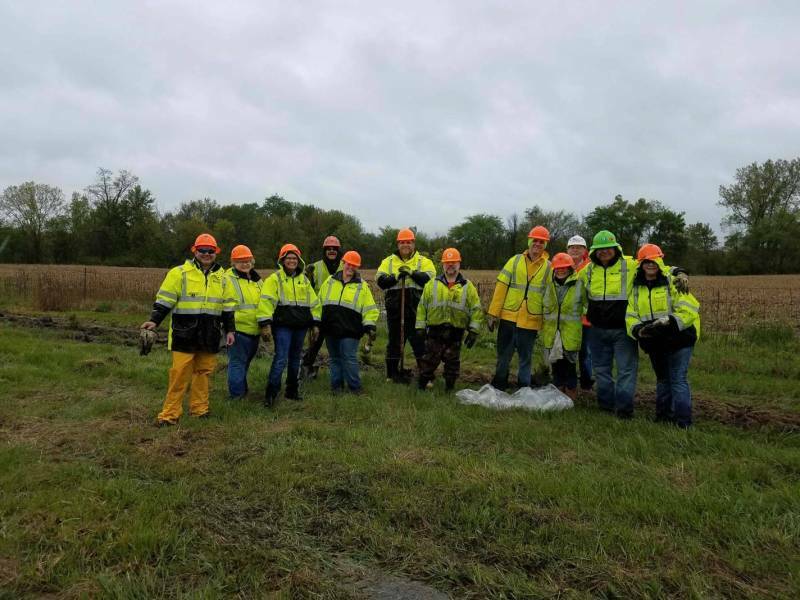 ITRCC’s culture promotes community involvement by giving back and strengthening the communities served by the Indiana Toll Road. The Stepping Stones Shelter for Women, alert to the problems of domestic violence existing at all socioeconomic levels in American Society and, perpetuating itself from generation to generations, associate ourselves to work towards its elimination and, to offer refuge and services to its victims in our area. They help the La Porte County and surrounding counties, women and children in domestic violence situations. ITRCC employees have collected and donated over 400 items for the shelter including shampoo, conditioners, soaps, dental product and feminine products. The mission of St. Margaret’s House is to improve the lives of women and children by providing individual attention to their immediate needs. ITRCC employees donated more than 600 toys and candy for the children’s Easter baskets. ITRCC, the Indiana State Police and Indiana Motor Truck Association are dedicated to keeping the Indiana Toll Road as safe as possible. 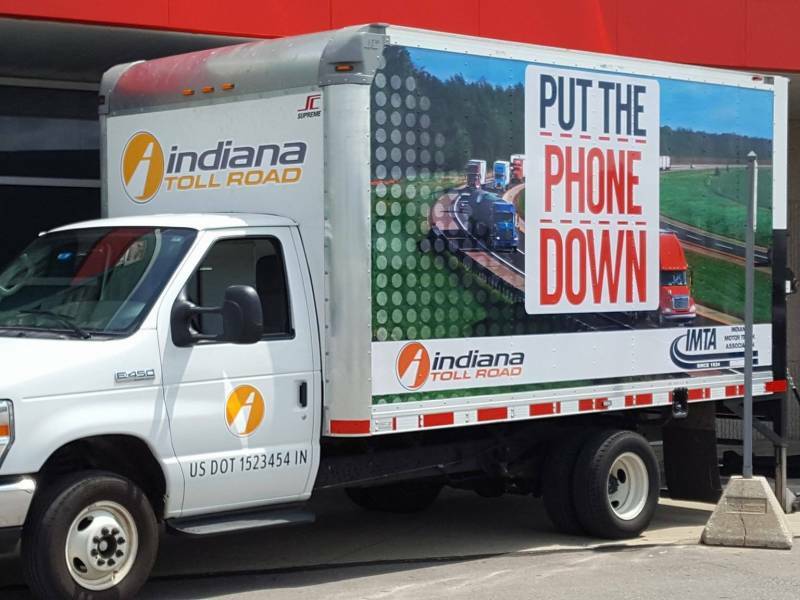 Our Put Down The Phone distracted driving campaign helped to make the Indiana Toll Road the safest it can be. ITRCC in partnership with Sunoco was part of the Portage Travel Plaza’s Grand Opening in April. 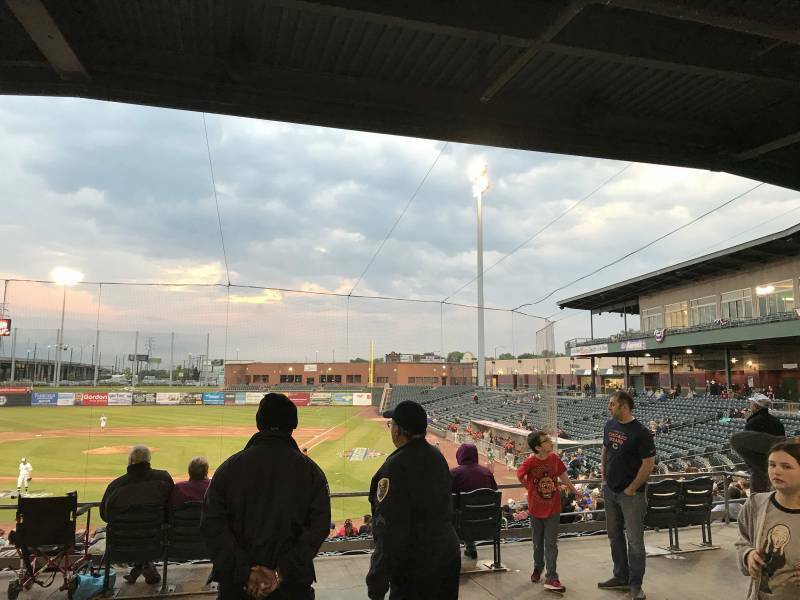 ITRCC sponsored the Gary Railcats, for its 2017 season. As part of the sponsorship, ITRCC employees attended home games throughout the season to help promote the “Put the Phone Down” campaign. ITRCC employees participated in the Division of Supplier Diversity of North Central Indiana Business Presentation at St. Mary’s University where they presented financial information and Indiana Toll Road history to suppliers of Northern Indiana promoting diversity and WMBE businesses. ITRCC employees volunteered alongside Goshen Mayor Jeremy Stutsman, the Goshen High School football team, Parkside PTO, and the Goshen City Counsel Student Liason to help build a new playground for Parkside Elementary. The playground had not been updated in nearly two decades. ITRCC in partnership with Sunoco was part of the Howe Travel Plaza Opening Ceremony. 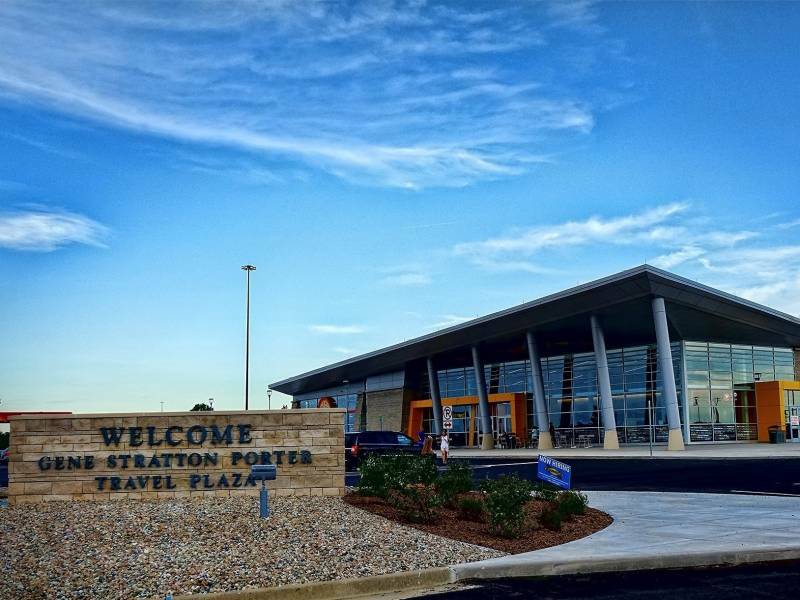 Two new state-of-the-art plaza facilities opened their doors to the public on July 3; Gene S. Porter Travel Plaza for drivers on the eastbound side and Ernie Pyle Travel Plaza for the westbound side. In celebration of the plaza’s opening in the community, a joint grant of $7,500 was made by HMSHost Foundation, ITR Concession Company LLC, and Sunoco to the Faith Mission of Elkhart, Inc. whose mission is to fight the root causes of poverty. Faith Mission is a locally-based social service agency which provides food, shelter, clothing and other services for homeless individuals. 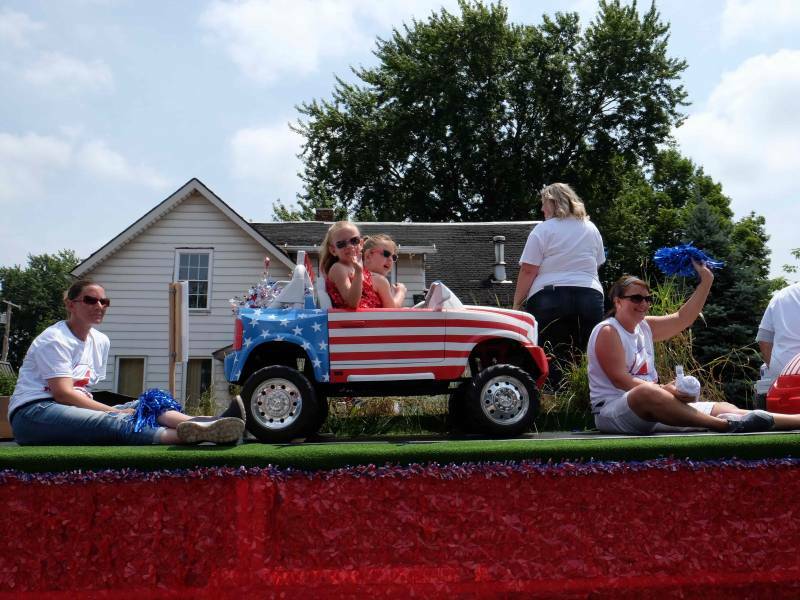 On July 4th, 2017 ITRCC employees rode a float in the Independence Day Parade in LaPorte, sponsored by the LaPorte Jaycees as part of the “Put the Phone Down” campaign. The float was another way to spread the message of safety on the Indiana Toll Road to the hundreds of residents at the parade. 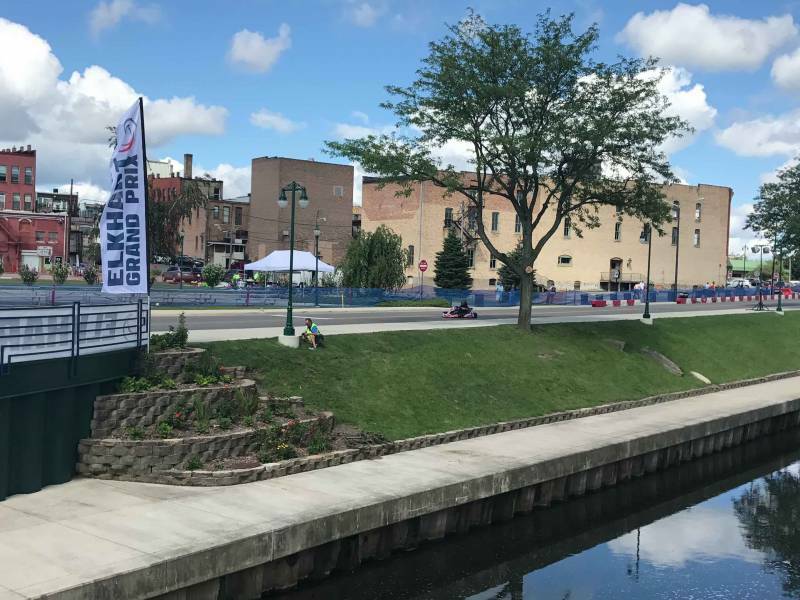 ITRCC sponsored the Elkhart Riverwalk Grand Prix where employees spread the word for the “Put the Phone Down” campaign to the residents of Elkhart County. Many Numerous residents took the pledge to “Put the Phone Down.” at the Grand Prix. 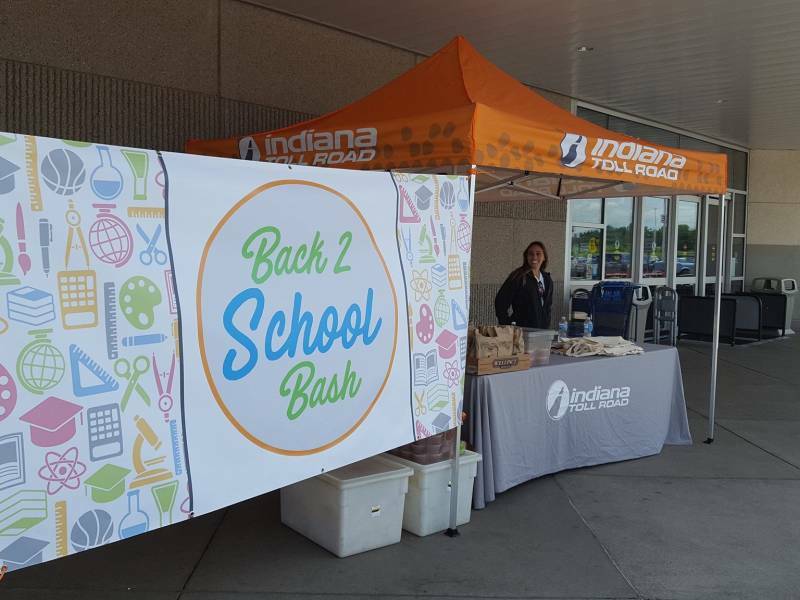 ITRCC, together with LIVE 99.9 hosted the first annual “Back 2 School Bash” to make a difference throughout the community. Sprenger Health Care, Rieth-Riley Construction, the Indiana State Police, and Hacienda Restaurants helped promote “Put the Phone Down” safety campaign to raise awareness and collect school supplies to help children to achieve greatness within our local education systems. 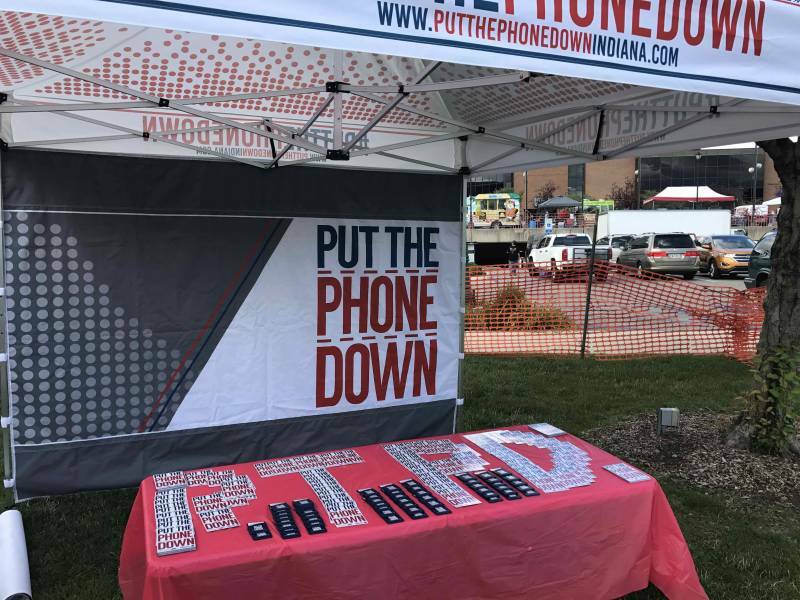 ITRCC employees attended the TIPCAC golf outing hosted by the Indiana Motor Trucking Association, the creators of “Put the Phone Down” campaign. ITRCC employees had the opportunity to speak with many roadway business leaders. The Stepping Stones Shelter for Women, alert to the problems of domestic violence existing at all socioeconomic levels in American Society and, perpetuating itself from generation to generations, associate ourselves to work towards its elimination and in particular, to offer refuge and services to its victims in our area. They help the La Porte County and surrounding counties, women and children in domestic violence situations. ITRCC employees have collected and donated over 400 items for the shelter including shampoo, conditioners, soaps, dental product and feminine product. The mission of Boys & Girls Clubs of St. Joseph County is to inspire and enable all young people, especially those who needs us most, to realize their full potential as productive, caring and responsible. ITRCC employees have worked with Boys & Girls club and determined a strong need to winter gear for the kids. After running a month long donation drive, we raised 300 pairs of gloves and 150 hats and scarfs for the kids. Donated school supplies to South Bend Community Schools, Porter Community Schools, La Porte Community Schools, Elkhart Community Schools, LaGrange Community Schools, Carlin Elementary School. Received over 4,000 school supplies for all schools. The mission of St. Margret’s House is to improve the lives of women and children by providing individual attention to their immediate needs. ITRCC employees provide Easter Baskets toys and candy for all the Children. Over 600 pieces collected. LCA’s mission is to creatively interweave art and educational programs it the surrounding community. ITRCC employees donated funds through a bowling charity event to LCA’s family night. Family nights allow underprivileged families the opportunity to have a fun night with pizza, games and prizes. It is a time for parents and children to bond without any financial obligations. Amount raised was $220.00. Keeping families with sick children close to each other and the care and resources they need. ITRCC employees did a penny challenge and collected $300.00 which was donated to Ronald McDonald House. The mission of the U.S. Marine Corps Reserve Toys for Tots Program is to collect new, unwrapped toys during October, November and December each year, and distribute those toys as Christmas gifts to less fortunate children in the community in which the campaign is conducted. ITRCC employees gave more than 600 toys. The Food Bank of Northern Indiana works in partnership with the community to feed the hungry, increase awareness of the effects of hunger and lead programs designed to alleviate hunger. The Food Bank of Northern Indiana serves Elkhart, Kosciusko, LaPorte, Marshall, Starke and St. Joseph Counties and is a member of Feeding America, Feeding Indiana’s Hungry and United Way. ITRCC employees donated 677 pounds of assorted food items. Pet Refuge Mission: To Protect the health, welfare and provide the best possible placement for every animal placed in the care of our organization. Recognition of the value of each animal life, and therefore, no euthanasia of any animal unless determined by a veterinarian to be the most merciful treatment. Spaying and neutering of every animal to help control pet overpopulation. Educating the public as to pet care and welfare. ITRCC employees donated 250 bags of dog food, 100 bags of cat food and multiple dog / cat toys. Hopes mission is to engage people in intensive relationship to help them heal, and fosters long-term relationship to help them transform and thrive. ITRCC employees raised $400.00 from it’s Strikes for Hopes bowling event, over 100 cans of food and 60 hams. 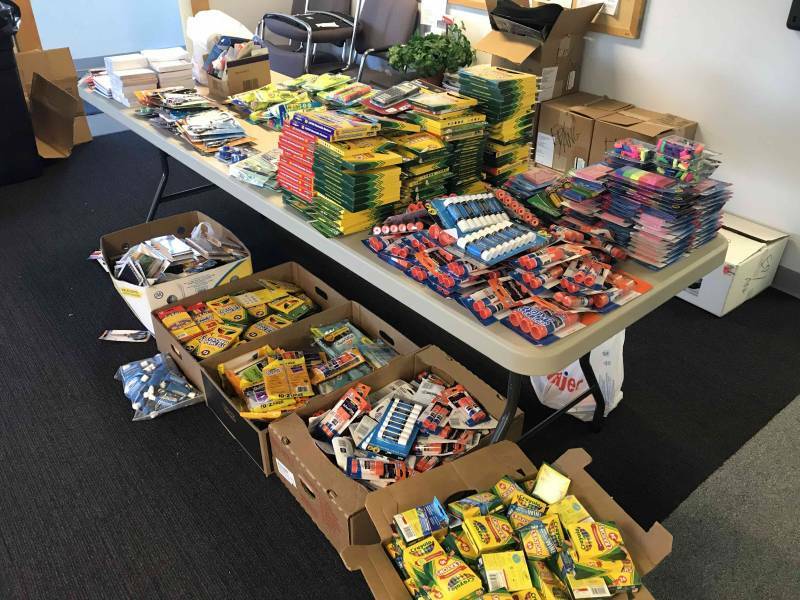 Donated school supplies to South Bend Community Schools, Gary Elementary School, Joy Elementary (Michigan City), Elkhart Community Schools, Horizon Elementary (Granger), Steuben Community Schools, Howe Elementary Schools. 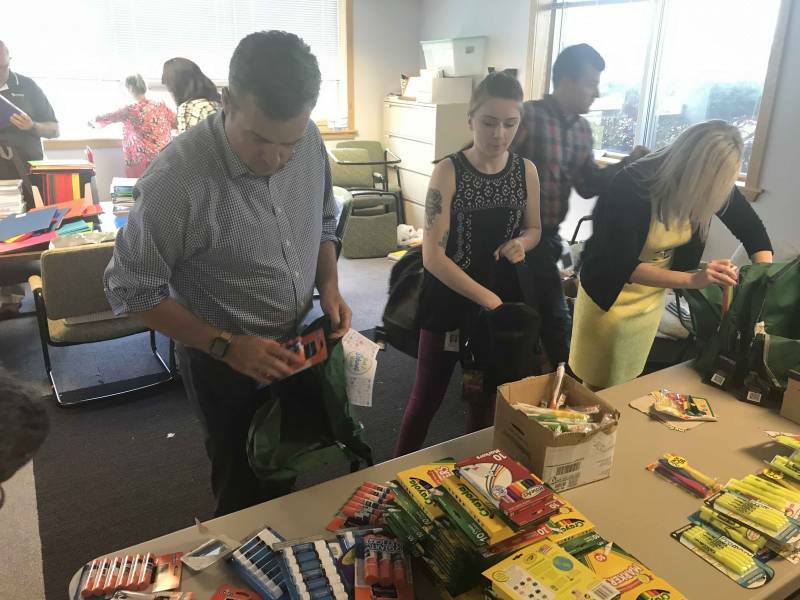 Each school received over 200 supplies including backpacks, folders, pencils, markers, paper and crayons. Please submit donation requests less than $1,000 at least six weeks in advance of the event or date needed. Requests for major sponsorships ($1,000 or more) must be submitted six months in advance. It is encouraged to send major sponsorship requests no later than September of the year prior to your event for consideration during our annual budget planning. Is this a for-profit or nonprofit organization? Has the organization received a donation from us in the past? Is this organization a customer of our company?